On the homepage of your Cpanel account, click Update Contact Info under Preferences. 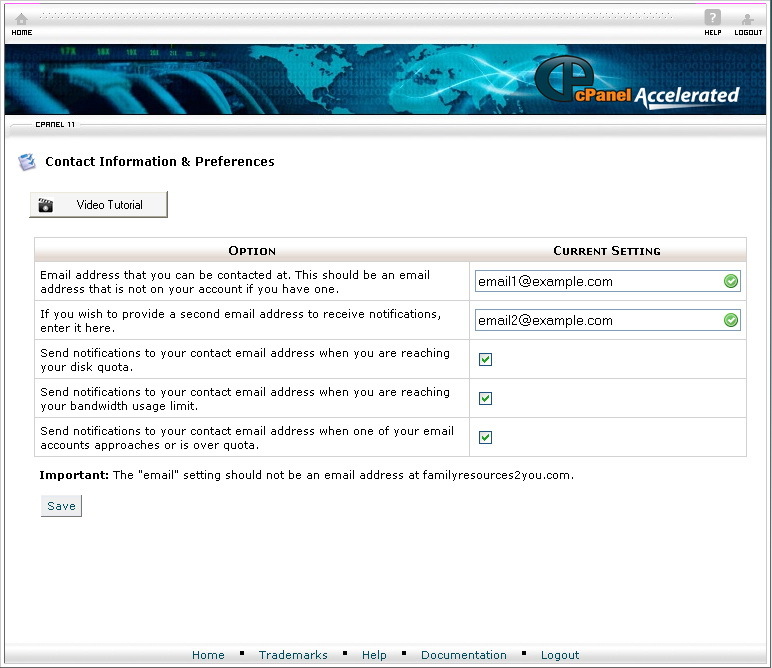 Delete the old email address and fill in the new email address which you want your hosting provider to contact you at. If you want to receive notifications from your hosting provider with a second email address, fill in the different email address in the text box on the second line. Set the notifications to your needs.